For an aspiring entrepreneur or student who wants to enter the business world with a management degree in hand, it becomes extremely difficult to choose which programme to opt for. After all, there are a large number of management institutes in India to choose from which offer PGDM courses in various fields like Finance, Marketing, HR, Operations, International Business, and Brand Management. So how does one choose? The first step is to look at what the course offers and where your interests lie. The PG Diploma in Management – Development Studies is a highly acclaimed course in entrepreneurship management in India. It has the honour of being the flagship course of EDII, which is a renowned and prestigious institution in India and boasts a vast alumni network. In fact, EDII commands a reputation in the industry that is hard to ignore. What are the Benefits of a PGDM-DS Degree? Development studies is categorized under social sciences and is actually one of the most popular specialized management programmes because companies all over the world require regional development studies specialists. The focus of this programme is to train students to work in the various economic, political and social sectors. The curriculum of this programme is tweaked to enable students to study, analyse and understand the various development policies that have altered the society that we live in. • It will help students to analyse and understand historical, economic, social and political factors that are a part of interpreting complex development problems. • It will introduce students to various factors influencing development in developing countries. • It will enable students to get a critical understanding of the issues that developing countries and societies face. • It will provide them with the necessary skills and knowledge to help solve some of these issues and come up with creative and innovative solutions. After graduating from the PGDM-DS programme, every student will have a unique understanding of the society as it is today and be able to critically analyse the factors that influence developing countries. EDII has a wonderful placement record due to its excellent and far reaching alumni network, its valuable contacts in the industry and the fact that EDII students are given opportunities to work with the best companies in the country and have intellectually stimulating and worthwhile careers. 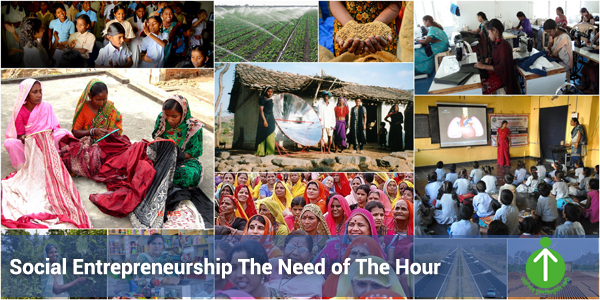 Some of the well-known social venture organisations that EDII students get placed in are Azim Premji Foundation, SEWA, Chetna, Unnati, Aga Khan Rural Support Programme, NRLM, FWWB, Utthan, and AKRSP. How PGDM-DS offers more that MHRM? An MBA in HR or MHRM (Masters in Human Resource Management) degree will only enable you to pursue a career in Human Resource Management by training you in the fields of selection, recruitment, training and development and labour laws. It will not guide you towards a satisfying career in the field of national and international development work. The PGDM-DS programme of the EDII is, indeed, a value added programme which will provide you with all you need to work in the field of development studies i.e. skills, hands-on practical experience and technical skills. Students who have graduated from the PGDM-DS programme at EDII are in demand due to their vast and specialized knowledge of the development studies field. They know how to create and manage social initiatives that will actually improve the situation for the urban and rural poor.